Mfr Part Number: SSDSC2BB080G401. NAND Flash: MLC. Interface: SATA 3.0 6GB/S. Weight: 70.0 Â± 2.0 g. MTBF: 2,000,000 Hours. Sequential Write: 100 MB/s. Manufacturer Part Number SSDSC2BA400G4. Drive Interface SATA. Network & Communication. Drive Interface Standard SATA/600. Technical Information. 545s Series. ® 3D NAND SSD. 64-Layer 3D NAND TLC. Internal Solid State Drive (SSD). Form Factor. Part Number. 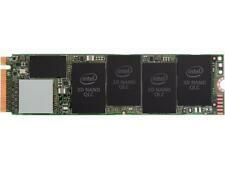 Intel 520 Series 240GB Internal 2.5" SATA Solid State Drive (SSDSC2BW240A3H) SSD. Condition is Used. Shipped with USPS First Class Package. Perfect for game console, security camera system, laptop, etc... Comes in antistatic bag. I was able to DOD 3 Pass wipe and sanitized the Solid State Drive. Drives are 80GB (74GB usable after format). Secondary functions not working properly or missing components are disclosed as follows. One drive is 120GB and the rest are 180GB. 120GB, 180GB. We are sorry for any inconvenience this may cause. No exceptions. We have a limited knowledge of their prior use. Intel 320 Series 80GB Internal 2.5" Solid State Drive for PC's and Laptops. Speed up your PC significantly by installing this drive as an additional drive and having it be your boot drive. This item includes the original installation kit for installing the drive in your desktop computer's 3.5 inch bay. The kit includes 3.5" adapter bracket and screws, SATA 3.0 Gb/s signal and power cables, migration software disk, and installation instructions. Condition is Used. Mfr Part #: SSDPEKNW010T8X1. The SSD 660p finally fits low-cost and high-capacity into one drive. QLC and SLC "spans" on the drive adjust bi-directionally based on used capacity for the life of the product. 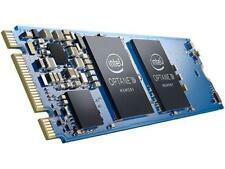 Drive Interface Type SATA 3.0 6Gb/S. Product Series 2500 Pro. 7'mm Slim Drive. Internal Notebook Hard Drive. Product Type Internal Hard Drive. Together with affordability, it's the ideal SDD upgrade. 660p Series. This technology makes the most of small spaces by expanding capacities up to 2TB of storage on small M.2 form factor. Capacity (GB) 512GB. Guaranteed to work, wiped and tested, free shipping Intel Pro 2500 Series SSDSC2BF360A5 360GB SATA 2.5" SSD (SS360). Condition is Used. Shipped with USPS First Class Package. 512GB capacity. M.2 2280 form factor. 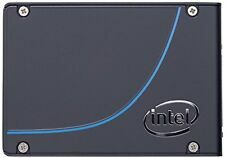 Intel Pro 2500 Series 180GB MLC 2.5 SSD Solid State Drive. Condition is Used. Shipped with USPS First Class Package. USED - Works fine, tested with windows 10. It is more of a novelty item, although it does function perfectly. 4Gb storage, with 3.72 usable. Peripheral Device Answer Y, N or NA. Cables or power cords are free from breaks or tears. We will help to resolve any issues quickly and fairly. This item is in good condition and fully functional with only minor blemishes from normal use. Intel Pro 1500 Series 180GB 2.5" SATA Solid State Drive SSD. Condition is Used. Shipped with USPS First Class Package. Tested for full functions, R2/ready for reuse. 256GB Capacity. Capacity 256GB. Interface PCIe 3.0 (x4). Form Factor M.2 (22x80). Power Consumption (active) 50mW. Vendors note. Condition - Grade A (photo is for referencing only, actual item may vary). (before 4PM CST). This USED Solid State Drive has been FULLY TESTED and WIPED. The exterior surfaces contain scuffs/ scratches as a result of regular handling and use. Capacity 400GB. 40.00 NAND MLC SSD Solid State Drive. Various products may have "Extended Manufacturer's Warranty". We stand 100% behind our product! Product Type Internal Solid State Drive. We reserve the right to accept or decline your order. Trending at $129.06eBay determines this price through a machine learned model of the product's sale prices within the last 90 days. 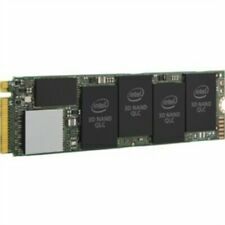 Intel DC 3520 Series SSDSC2B150G7. Temperature Monitoring and Logging Yes. Advanced Technologies. Uncorrectable Bit Error Rate (UBER) 1 sector per 10^17 bits read. Excellent choice for laptop/ desktop. 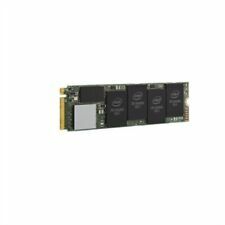 Interface SATA 3.0 6Gb/S. Sequential Write (up to) 520 MB/s. Warranty Period 5 yrs. Uncorrectable Bit Error Rate (UBER) 1 sector per 10. RMS (5-800 Hz). RMS (5-700 Hz). Capacity: 180GB. - Works in any Laptop PC or Desktop PC that is compatible with M.2 2280 Form Factor. - NGFF 80mm Solid State Drive (SSD). - Power Consumption: Active: 80 mW (typical). - Idle: 40 mW (typical). Works perfectly. Has endurance rated in petabytes so still a lot of life left in it. Internal Solid State Drive (SSD). 320 Series. “But when a long train of abuses and usurpations. Full Disk Encryption via AES 128 bit encryption Technology. 1,200,000 hours. Model number SSDSC2BB800G6. These drives are new sealed spare drives that were never used. 1.8” uSATA. SSD Spec Chart. Solid-State Drive (SSD). Model Part Number. Processors - CPU's. Storage - HDDs/SSDs.